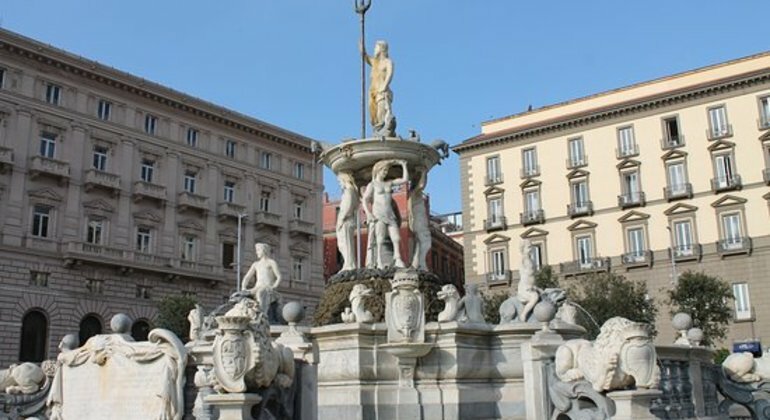 Discover the incredible monuments and the fascinating history of the uniquely beautiful city of Naples on our fascinating free walking tour with a local professional and friendly guide. Walk through the royal Naples and glimpse at its castles and seaside scenery on an amazing free walking tour with passionate and friendly local guides. 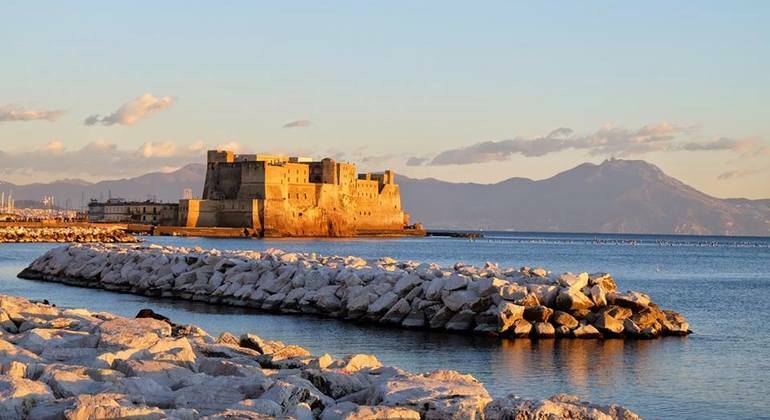 Engage with the world of stunning views over the Mediterranean sea and the bay of Naples with a brilliant guide to show you around during this free walking tour. Eat like a true Italian and learn all the tips and tricks of preparing the best Pizza from the qualified local pizzaiuolo in the gastronomic capital of Italy. 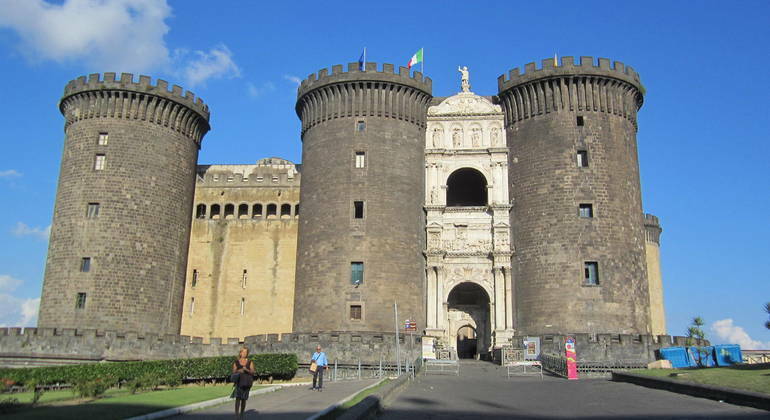 Come and discover beautiful historical buildings and the main attractions of the gorgeous city of Naples on this fascinating tour. Learn interesting details and the rich history & culture of this beautiful place. 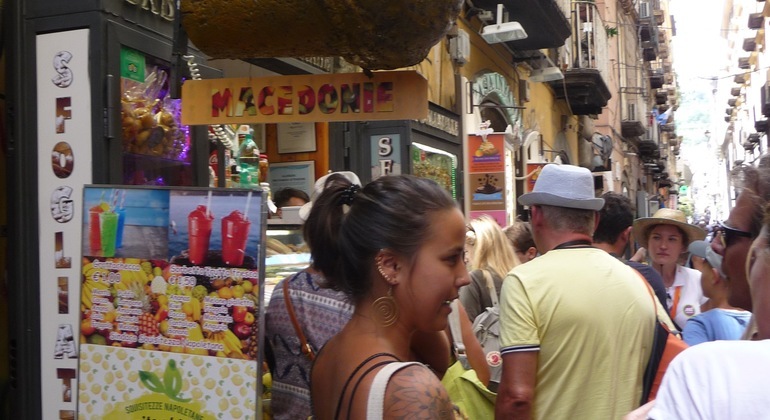 Explore the heart of Naples, with its historic part full of the Greek narrow streets. Learn about Neapolitan food and history and try local limoncello. 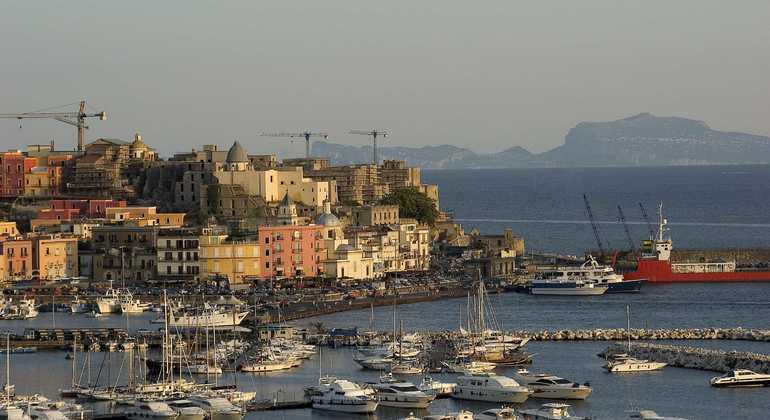 Discover the surprises that Pozzuoli can offer you. Appreciate the glorious archaeological treasures and genuine atmosphere of this Mediterranean village close to Naples. Nestled near Mount Vesuvius, the ancient city on the Bay of Naples makes for a truly wonderful break. The crust of its famous pizza may be distinctively thin but the legacy of Naples’ rich and remarkable history, heritage & culture is certainly not thin on the ground. Wonderful architecture, art & archaeological treasures are set against a backdrop of beautiful sea-view panoramas while a healthy streak of modern urban grit blends with historic grandeur & sophisticated elegance. A FreeTour.com free walking tour of Naples with a friendly, authentic local guide is a must do in this intriguing city for insight on everything Naples. 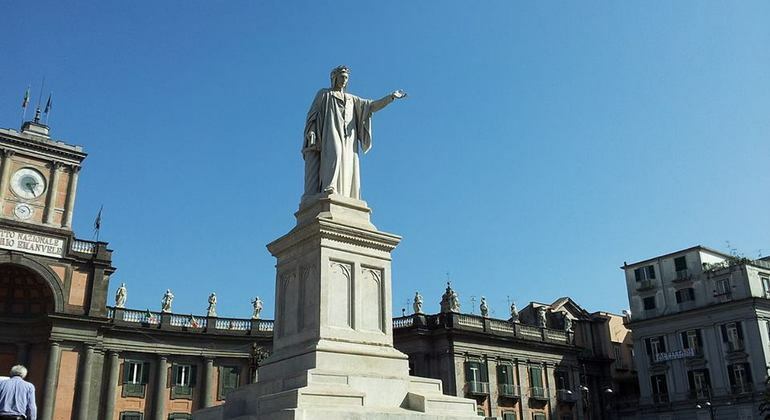 Explore fascinating history and discover amazing sights including Naples Cathedral, beautiful frescoes & statues in the Chapel of San Gennaro, Royal Palace, Castel Nuovo, Via Toledo, the underground city and so much more while getting great local hints, tips & recommendations. Aside from feasting on a banquet of history, culture, art & architecture, food-lovers will be Naples-lovers as this city is epicurean heaven. 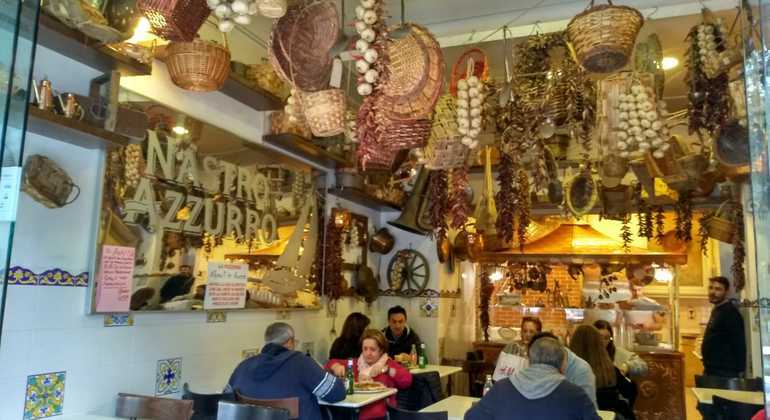 Food & dining is a most important element of Italian, and especially Neapolitan, life and a vibrant social culture is fuelled by remarkable culinary legacy. 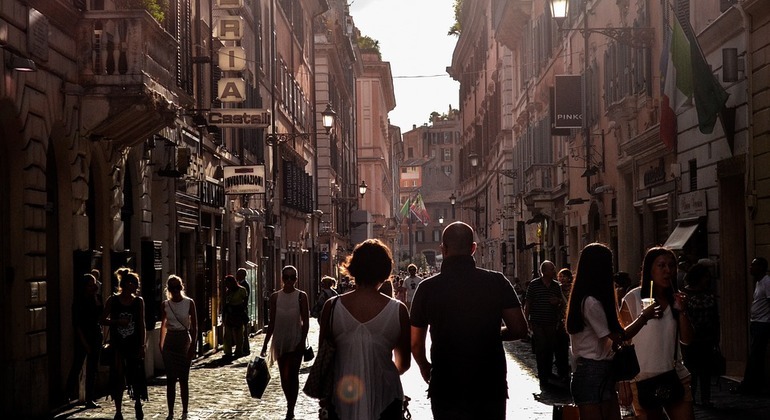 And as the evening buzz of restaurants, pizzerias and cafes makes way for a fantastic atmospheric nightlife, you’ll know it won’t be long until you return to this exceptional city.